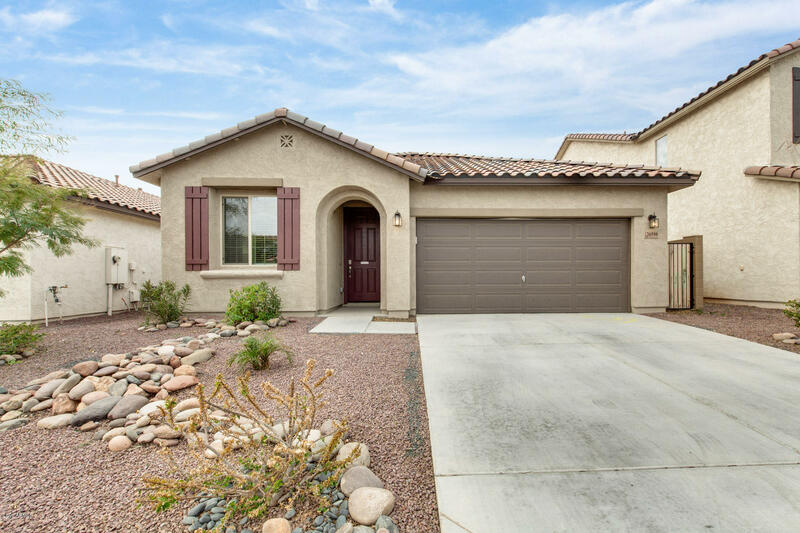 All RANCHO CABRILLO PARCEL E homes currently listed for sale in Peoria as of 04/20/2019 are shown below. You can change the search criteria at any time by pressing the 'Change Search' button below. "Fantastic opportunity to own this 5BR/3BA two story home with leased solar panels on a premium oversized lot with NO NEIGHBORS BEHIND. Enter your new home into a very spacious living room and adjacent formal dining area with plenty of natural light. The very popular floor plan includes 1 BR and full bath downstairs, an open kitchen design and large loft with remaining BR's and laundry upstairs. 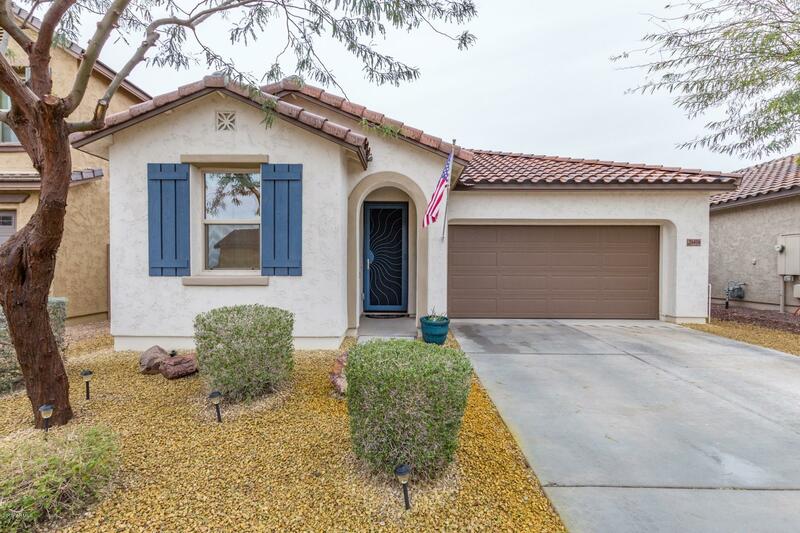 Kitchen boasts beautiful granite counters, mosaic back-splash, center island SS appliances and ple"
"Move in ready home in a desirable neighborhood. 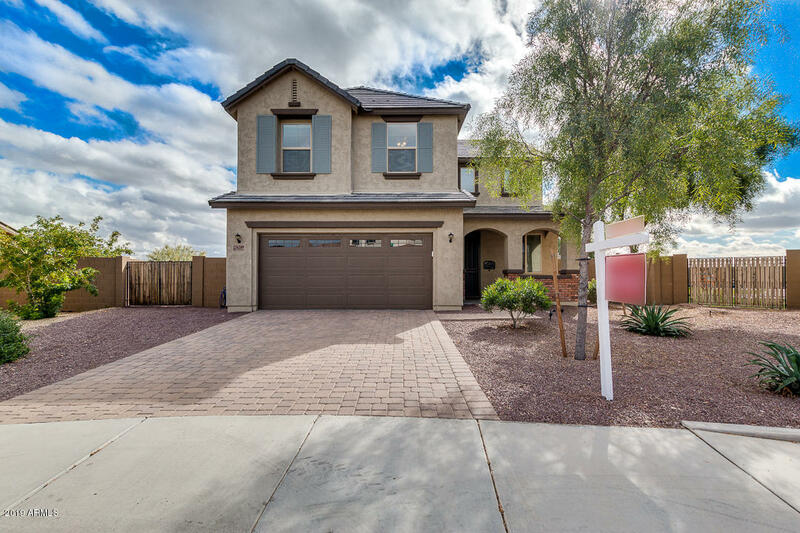 This spacious 4 bedroom, 2 3/4 bath home w/ 3 car garage, featuring new carpet in the bedrooms, wood floor laminate and 18'' tile throughout. There is a formal living room and dining room, great room, loft, eat in kitchen. Kitchen features Cherry cabinets, stainless steel appliances, kitchen island and walk in pantry. Spacious master bedroom w/ lg walk-in closet and dbl sinks. Oasis style backyard w/ extended new travertine patio, new hot tub, new "
"Welcome to this stunning home in a beautiful community! The upgraded kitchen boasts 42'' cabinets, granite counter tops, a back splash, and stainless appliances. The home is spacious with 3 bedrooms and a den that could be easily turned into a 4th bedroom. The bright master bedroom has a bay window and en suite bathroom with a walk-in shower with decorative tile & a walk-in closet. 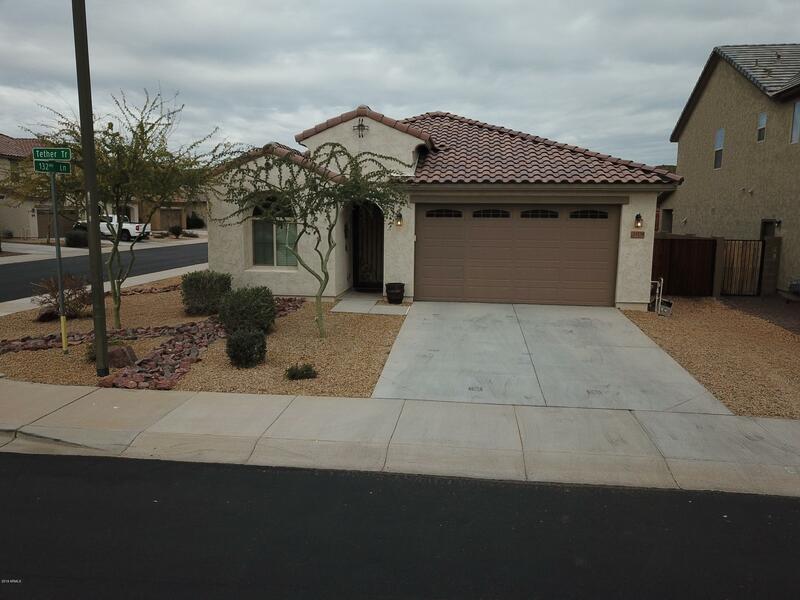 Throughout this beautiful home you will find easy to maintain tile floors, ceiling fans, and blinds on the windows." 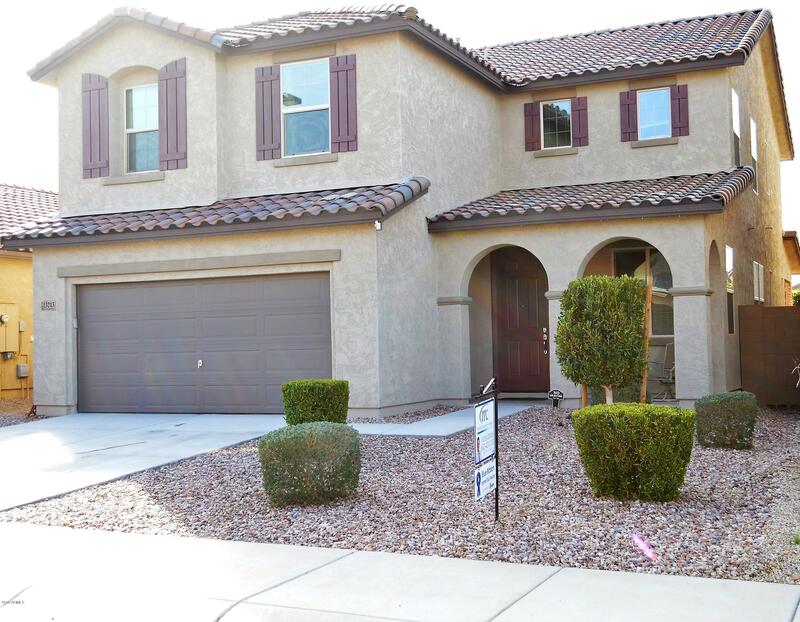 "Come check out this move-in ready home located in the community, Rancho Cabrillo! 3 bed, 2 bath with a spacious floor plan! The living room is oversized and perfect for having guests over. Your kitchen has beautiful dark wood cabinets, granite countertops, and a breakfast bar allowing you to converse with your guests comfortably. The backyard is beautifully landscaped with pavers and artificial turf. Schedule your showing!" "Price Reduced! Must see. Unique floor plan with thoughtful customization at the time of building. This Spanish inspired home has a comfortable feeling from the moment you walk in. With gray-toned wood laminate flooring & ceiling fans in every room, you can experience the continuity as you experience the mountain views from different rooms. The master suite has a spacious bathroom, including a walk-in closet, walk-in shower & separate water closet. You will appreciate the split floor plan allow"